Carefully read the “Read Me” file. go into the "testengine\data\formal" folder and copy 642-825.tce from there to "testengine\data\demo", then from the interface run the demo\642-825. I can't run Testinside v 13.42. I read readme and installed everything from there and when i double click on exam nothing happens. I followed through images and it won't work. 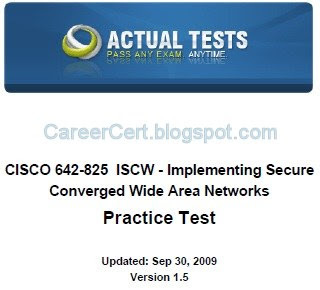 Hey, I read on the Cisco Academy learning website that Academy students are allowed to take the retired exams CCNP v5.0 exams until July 31 2011 with special code. Are you an academy student who has taken the ISCW exam after 31st July this year? If so, please share. Thanks. 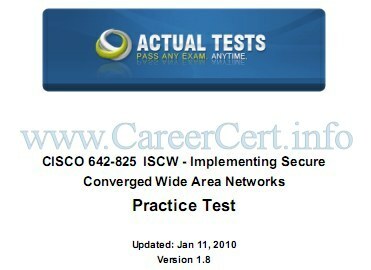 Today I passed my ISCW exam, just in the deadline, I studied with the P4S 3.10 and the TI 13.42. I will say that 95% of the content was included in the dumps. Ani way thnx again for the help.. Managed a workaround with the object reference not set error. If you download the 'demo' exam for 642-825, then go into the testengine\data\formal folder and copy 642-825.tce from there to testengine\data\demo, then from the interface run the demo\642-825, you should get all the 221 questions. To enable the answers you need to go to 'options', 'enable grade question' from the main screen. Hope this helps someone until a patch is out. Dileep – you need to double click the 642-825 at the top under formal questions, not down the bottom under the cisco section. That said, i still get the null pointer reference problem mentioned above.. would be interested to see if that works for you? pb, same here – when I double click 642-825, I get 'object reference not set to an instance of an object'. Any ideas? i tried running the test engine..but only the Demo version is working..for getting the Formal version it is asking for Username,password and serial number…pls help me…. Hiii …once again thanks for sharing ISCW v13.42…But its not working….pls help.. Anyone know what the labs/hotspots are on 642-825 iscw now? Is it just the ones listed at ciscosim? I see some other labs mentioned in some places (ADSL?) Are these no longer used? hii..thanks for sharing the link for 642-825..
i tried running TestEngine.exe and duoble clicked the 642-825 tab in the left hand pane under "Formal Question Library".But on the right hand pane the 642-825 tab with "Start" button is not showing..
Hii… test-inside updated their 642-825 ISCW dump on 23rd of this month with 221 Questions…This week i am planning to take ISCW Exam..if u r having this update pls give me the group buy link..
ISCW test-inside 214q has been added. 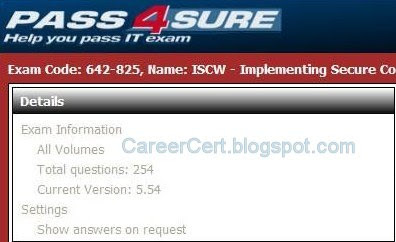 Hii…i can get the latest update for 642-825 ISCW test-inside dump with 214 Questions…if it is available, pls provide the Group Buy link.. I HAVE EXAM ON THIS SATURDAY AND I PREPARED TI v13.39 & P4S v13.10 IS IT ENOUGH TO PASS THE EXAM OR ANY OTHER MATERIALS SHOUD I PREPARE. PLEASE EXPERT'S GIVE U R SUGGESTIONS..
v5.54 is newer than 6.50. actually the newer versions are given at top. Out of above two P4S versions which is newer(to be followed). What is the latest version of dumps is there in TI. yah..p4s 275q is good coz Ti contains many voice questions and doesn't have explanations…duh.. I have ISCW exam in next week & iam preparing P4S 3.10 275Q is it ok or shoud i prepare any other materialas. This is 26 May. I forgot to edit this post. BTW dates doesn't make any difference. Just check the total number of questions. The P4S is now updated on 26 May 2010. Even though the total question is still 275, could you please post the latest update for that link? Otherwise, should I just buy the 15 May version and wait for your update to 26 May? 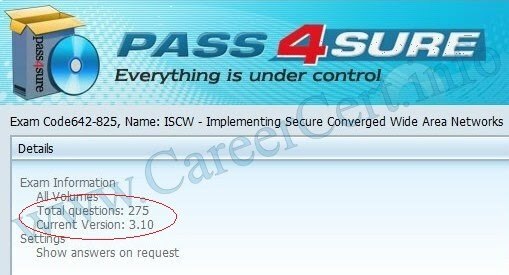 I am planning to take ISCW exam on 2 july. Passed Today with 956…. thanks to HANSIE & TI 13.39 & NetworkTUT 🙂 Keep up the good work you guys Off to ONT now…. I dedicate this to careercert. Skip the voice Qs they are not coming in exam. But one more thing, dont rely on TI….almost 10 15 Qs are coming out of TI. goto ,, and download the top 2 dumps from there and use them too….. I have ISCW exam on this thursday iam prepraring TI V 13.39 but i found sum new question witch is not related to ISCW like the questions is regarding IPtelephony do i need to prepare the question or shall i skip. 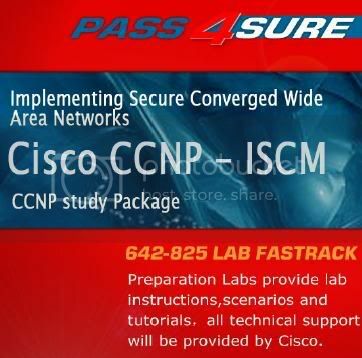 Hey guys, latest 642-825 Pass4sure v3.10 (275 Q) is now available in group buy. I am Zaheer. I am From Karachi, Pakistan. I want to Buy as GB ISCW 642-825 Vol 13.39 212 Q updated on 18th May-2010. Pakistan is not mentioned in your countries list. 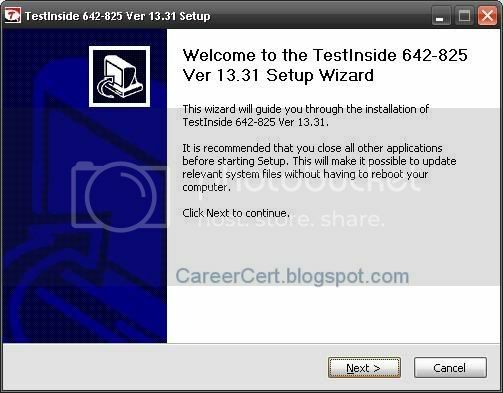 Latest 642-825 Testinside is now available in group buy. ya that latest version for testinside for ISCW 842-825 is out on 5/18 having 212 question …. I would like to raise a question about a suspicious answer to the quesion 79 from TI 3.37 about DOCSIS standard. the answer provided by TI is the last two as following order IP networking and the register and ensure QOS… whereas the correct answer from http://networktut.com/ is the opposite way first register …; then IP networking. In my opinion networkut has the right answer ! what do you think? There were only 3 or 4 new questions. Make sure that your comment is not off topic and there is no email address in your comment. It attracts spam bots and email harvesters. why are all my coments deleted even if not offensive…..